Ian Storey, Waltraud Meier, Michelle DeYoung et al. Daniel Barenboim conducts the La Scala Orchestra and Chorus in this performance of Wagner's opera. 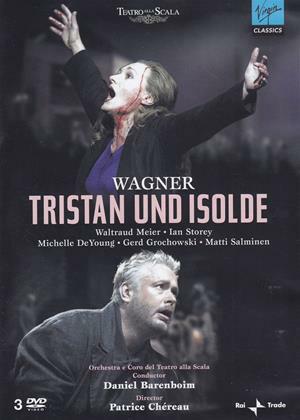 British tenor Ian Storey makes his La Scala debut as Tristan while the Grammy Award-winning German mezzo-soprano Waltraud Meier takes on the role of Isolde.